The Nashville Statement and Sterling K. Brown: Is This Us? I’m tired, y’all. I’m tired of folks using The Bible, or any religious text to justify the withholding of love. To justify the promotion of intolerance. And ultimately, the death and destruction of what God made. My heart aches for the innocent, and I can no longer play the role of Switzerland. If you have a problem with loving gay people, then you have a problem with love, and thus you have a problem with God. Because what is God, if not love? The conditions which many Christians place on “how best to love” someone who is different than themselves has got to stop. Although he doesn’t specify his personal beliefs, Brown’s statement of support for LGBT people is remarkable. It sounds like there is some conflict in his family about the matter and yet he has come forward with a strong statement of support. 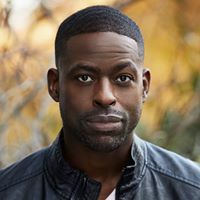 Dear Council of Biblical Manhood and Womanhood, is Sterling K. Brown one of us? Author Warren ThrockmortonPosted on November 8, 2017 Categories Nashville Statement, UncategorizedTags Nashville Statement, Sterling K BrownLeave a comment on The Nashville Statement and Sterling K. Brown: Is This Us? The Church of South India was a charter member of the Kerala Council of Churches in India. However, according to a news report in The Hindu, CSI has pulled out of the KCC in response to the admission of K.P. Yohannan’s Believers’ Church into the KCC. 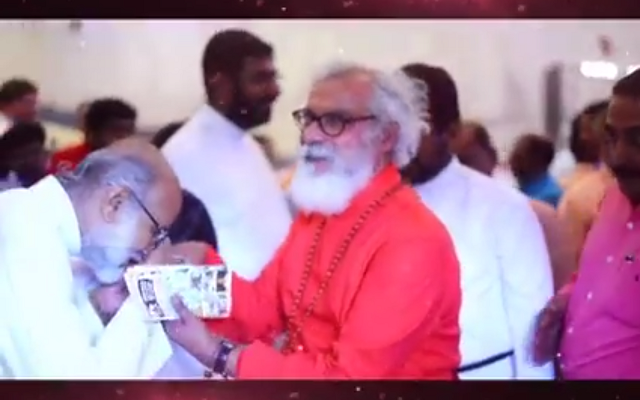 The background of the move involves the insistence by the CSI that Yohannan (also the CEO of Gospel for Asia) was not consecrated officially as a bishop and has no authority as such. The latest development has to be viewed in the backdrop of the controversy over the episcopacy claims of the Believers Church that its head, K.P. Yohannan, was consecrated by the CSI Church. However, the CSI has outrightly rejected this claim of the Believers Church, saying that the former has never done such a thing at any point of time. The CSI Moderator, Bishop Thomas K. Oommen, told The Hindu that the regional forum of the CSI Synod members had unanimously decided to disassociate with the KCC and its programmes. Admirer kissing the hand of K.P. Yohannan. From his 2017 birthday video. Yohannan and several bishops created the Believers’ Church due to the need to have a church in India to receive donations from abroad. However Yohannan claimed recognition from CSI when in fact the relationship is nonexistent according to CSI. The leaders of that denomination felt so strongly about it that they pulled out of the KCC to protest the recognition of Believers’ Church. To CSI, Yohannan is a lay person pretending to be a Bishop. Did the American Founders Want the Bible in Schools? Tim Barton, son of self-styled historian David Barton, wants you to believe the founding fathers wanted the Bible taught in schools. But what’s cool about him is when we became a nation, he wrote a series of essays to help guide and shape America, and what we thought and how we did it, and one of the essays he wrote was on education. It’s this essay right here and it was on the defense of the use of the Bible in schools. He’s arguing that we need the Bible in every school in America. 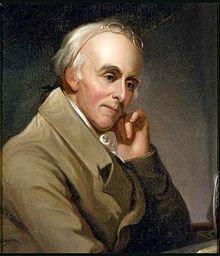 Benjamin Rush believed that if we were going to make it as a nation, the way we had to do it was use the Bible in schools. 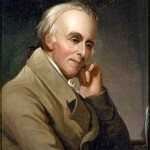 Who was the Father of Education in America? Here is the proof that our founders wanted the Bible in schools. Watch. Like. Share. Is Rush’s letter proof the founders wanted the Bible in schools? 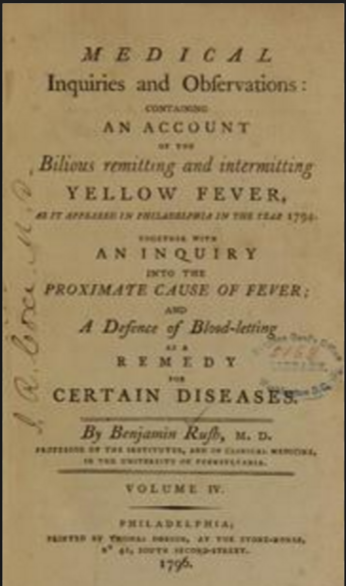 In 1791, Rush wrote a letter on education to Jeremiah Belknap which was republished by the American Tract Society in 1830. In the letter, Rush defended the use of the Bible in schools. However, Rush’s defense should raise a question. If the Bible was in such wide use, then why would Rush need to argue for its inclusion? In fact, Rush said in his letter that the Bible in schools was out of fashion, so to speak. To the arguments I have mentioned in favour of the use of the bible as a school book, I shall add a few reflexions. What? The Bible was rejected from schools during the 1790s? Eliminating the Bible was a fashionable practice? The effects of the disuse of the bible, as a school book have appeared of late in the neglect and even contempt with which scripture names are treated by many people. It is because parents have not been early taught to know or respect the characters and exploits of the old and new testament worthies, that their names are exchanged for those of the modern kings of Europe, or of the principal characters in novels and romances. Rush apparently viewed a lack of biblical naming to be a problem which would be addressed by returning Bibles to education. Since Rush complained that parents didn’t get Bible instruction in school, the use of the Bible in school must have dropped off long before the 1790s, at least according to Rush. With his letter, Rush was going against the trend not setting the pace. Instead therefore of putting the Bible and Testament into the hands of the children, at an age when their judgments are not sufficiently matured for religious enquiries, their memories may here be stored with the most useful facts from Grecian, Roman, European and American history. No doubt some founders were fine with the Bible as a text and other were not. The problem here is the generalization to the point of misinformation. There was no national policy on the subject and some schools required Bible training while others did not. By the 1880s, many schools had stopped using the Bible (see the Cincinnati Bible Wars) at all. Author Warren ThrockmortonPosted on June 23, 2017 Categories david barton, Religion, UncategorizedLeave a comment on Did the American Founders Want the Bible in Schools? Joy to the World; He is Risen! At noon, I will be on the Moody Radio Network program Up for Debate with Julie Roy to discuss the repeal of the Johnson Amendment. Repeal would allow churches to endorse political candidates. I don’t believe this is a good idea. As background, see my post opposing church endorsements of political candidates. I just saw this tweeted a bit ago. There is commentary from the Executive Committee of the Ethics and Religious Liberty Commission and from Dr. Russell Moore. Moore has been the subject of controversy due to his opposition to Donald Trump during the election season. Moore came out strongly against Trump’s morals and alienated Trump supporting Southern Baptists. Some had called for Moore’s resignation and threatened to withdraw financial support unless Moore is replaced. We will see what happens. After vocal reactions from a wide range of conservatives, CPAC rescinds the invitation. For background on this matter, see posts from yesterday (here and here). One wonders what took so long and what tipped the scale toward disinviting Yiannopoulos. Last night at 8:17pm, ACU chairman Matt Schlapp was still defending Milo as a speaker. This was long after the video interviews had been widely available and distributed via Twitter. So he says. He may be the keynote speaker but then again that isn’t supposed to be disclosed until the day of the breakfast which is tomorrow. There are many opportunities to speak at the many meetings going on this week in Washington, D.C. The National Prayer Breakfast is hosted by Congress and conducted by the Fellowship Foundation. I attended as a guest of the Fellowship in 2010 when the Ugandan Anti-Homosexuality Bill was under consideration. President Trump will most likely speak as has every president since Eisenhower. Founder Doug Coe’s presence is uncertain but may show up if he feels up to it. Yesterday, I noted that Dallas area mega-church Gateway Church co-sponsored an inaugural ball in Washington, D.C. At the same time, Gateway Church can afford to sponsor the pricey affair, the church charges youth group kids for pizza at the weekly youth gatherings. A source at Gateway has informed me that the cost is a part of measures designed to address a drop in income at the church. What brought us to this day was all the hard work. All the giving. All the things that we did in the natural. But really what brought us to this day was that the Church for the first time in a long time came together and prayed for our nation. But here’s the problem. Many times it’s the candidate that we don’t like gets elected, then we don’t pray for him. We don’t like him. And then if the one that we like gets elected, we don’t pray because we think we got the right guy and he’ll do the right thing. And I believe Donald Trump is the right guy, but he won’t do the right thing without our help and without God’s help. And so what we do when we pray is we reach out with one hand and he grab hold of God and we reach out with the other hand in the spiritual and we grab hold of Donald J Trump and we intersect him with God every single day. Every day. And this is actually what it means when it says Jesus is at the right hand of the Father interceding for us. I don’t wanna burst your bubble but He’s not up there, as Chonda was saying ‘in Jesus’ name’, to his father praying for us, he actually has the Father with one hand and us with the other hand and he brings us into an encounter with His holy Father. And so I want us to pray and I just wanna give you a charge that we need to continue to pray for our president, our vice president, for our congressmen and women, for our elected officials. First Timothy says I wish men everywhere would pray and I want them to pray for the governing authorities so will you join me in prayer as we intersect God and our government. Morris believes Trump’s win represents a unity in the Christian church. I don’t agree. I think Trump is a divisive figure in that many Christians oppose him and his vision for the nation. However, the spin from his supporters is that Trump’s victory represents a deliverance or at the least a pause in the path toward social destruction. Others at the Faith, Freedom and Future Ball sounded similar themes (e.g., Tony Perkins said now we at least have a future. ).